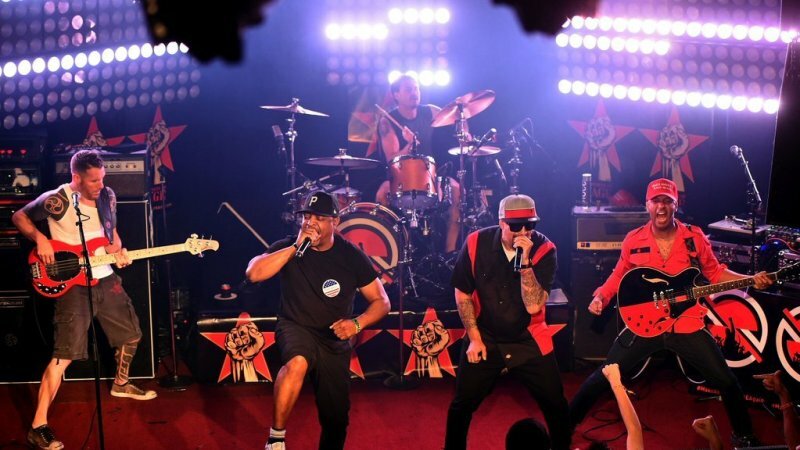 Public Enemy co-founder Chuck D is flexing his pen in a whole new way, today (Oct. 6) announcing he has a new book arriving next week on Oct. 10. The anthology, aptly titled Chuck D Presents This Day In Rap and Hip-Hop History, will map out pivotal moments from 1973 to present day, with the book set to focus on a variety of hip-hop's most influential figures throughout its colorful pages, in addition to highlighting the veteran emcee's firsthand experiences and coveted commentary. The book begins with the origin of hip-hop, retelling the story of the game-changing house party DJ Kool Herc threw on August 11, 1973, and going on to chronologically discuss the next four decades of the beloved genre. Additionally, Chuck D Presents This Day In Rap and Hip-Hop History features over 100 original illustrations by a handful of artists, including Shepard Fairey (who also wrote the foreword to the book), Andre LeRoy Davis, Scared of Monsters, Glen E. Friedman, ASKEM and more. Pretty dope. "If you want to understand our culture," Kendrick Lamar wrote fondly in a press release. "To learn knowledge itself. Truth about the art form of poetry in motion. The struggle of our community through rhyme and rhythm. This is the book that inspired me long before I found my place in hip-hop. The power of self-expression. Unapologetically. Taught by the teacher himself. Chuck D!!!" Ice-T, Nas and LL Cool J have all got their hands on an advance copy and have spoken highly of the book as well, with LL adding, "Reading this book is like reliving my life all over again." Sounds like a must-cop to us. Take a look at Chuck D's announcement below and reserve your copy here.